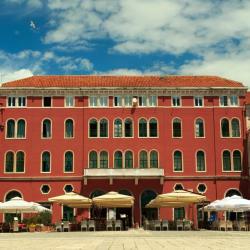 Looking for hotels near Meštrović Gallery? Hotel Cvita in Split has 4-star accommodation with an outdoor swimming pool, a fitness centre and a spa & wellness centre. Among the various facilities are a garden and a terrace. 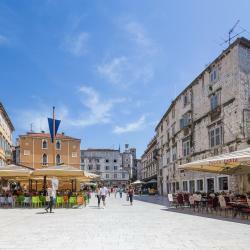 Situated 5 km from Diocletian's Palace, Apartment Sun Place is in Split and features barbecue facilities and a garden. Guests staying at this apartment have access to a fully equipped kitchen. 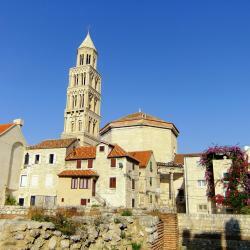 Apartment Outlet is a self-catering accommodation located in Split. Free WiFi access is available. 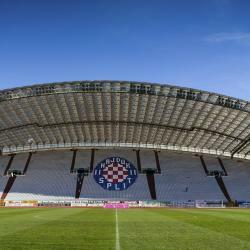 The property is 1.6 km from Palace of Diocletian and 900 metres from Marjan Hill. Situated 6 km from Diocletian's Palace and 8 km from Znjan Beach, Beachfront Apartment Mala Tereza offers accommodation located in Split. 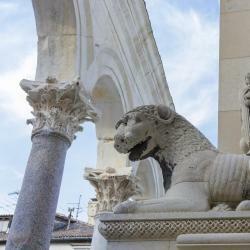 Located in Split, Apartment Julia is a 9-minute walk from the seafront and 2 km from the Cathedral of Saint Domnius. It offers a garden and self-catering accommodation featuring free WiFi. Located in Split, within 5 km of Diocletian's Palace, Apartment Lju on the Beach offers accommodation with air conditioning. This apartment has a garden and barbecue facilities. 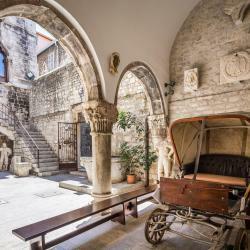 Located right next to the UNESCO-protected Diocletian's Palace in Split, Palace Suites provides luxuriously equipped accommodation with numerous amenities like flat screen TVs, king-size beds and free... I loved the location and everything was in walking distance. 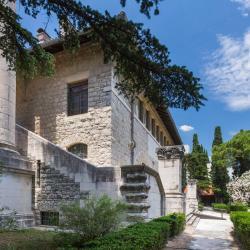 Hotels with great access to Meštrović Gallery! Fabulous must-see We should all know about this Croatian amazing artist. Watch film and speak with knowledgeable personnel at museum, Easy walk there. Do take a swim before walking back along the seashore with the sunset behind you. Worth while walking there. Great surroundings with sea view and georgous palace for the gallery. Skillful and interesting masterpieces of sculpture art in the excibition. Close to the shoreline a most appealing chapel with wooden scarvings, modest but full of atmosphere. You can wander around the garden in front, and admire the monumental Mestrovic works there, apparently without paying the admission fee. Seems mean I know. Also worth looking at the Mestrovic cloister a little way to the west on the opposite side of the road. Fee will be asked for, which also covers the gallery proper. 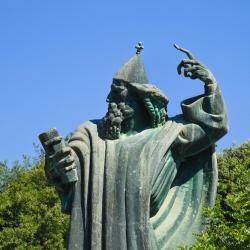 Completely free is the monumental statue of Grgr of Nin by the Golden gate on the land side of Diocletian's Palace. Rub his toe and make a wish...!